Textbooks, basic necessities, clothing, gifts, computer software, and school supplies are available at the college bookstores on the Emmetsburg, Estherville and Spencer campuses. A textbook buy-back service is available. 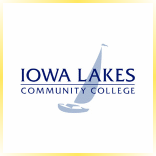 The college stores also provide textbook service to the Algona and Spirit Lake campuses.